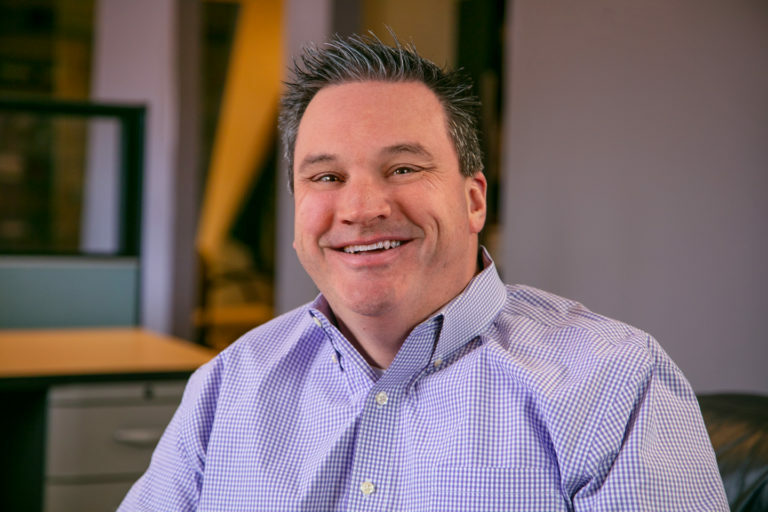 Since May 1993, Jon has collaborated with clients and the diverse team of associates at Falk Harrison to develop award-winning communication solutions. Initially, Jon tackled a business development role that included account planning and management. Over the years, Jon’s experience grew, and his responsibilities did as well. Today, Jon is involved with the development of communication plans and strategies, messaging platforms, and overall project execution. Jon leverages over 26 years of practical experience along with his bachelor of science degree in marketing from Bradley University. He delivers for clients that span diverse industries and revenue levels, offering thoughtful and strategic advice to cultivate long-term relationships with the agency’s clients. How about a vodka club, with a lemon? So I can work with great people that want to make and do great things. Colorado in the summer. Mountains, nature, and my family – nothing better. At home you will find me at the grill or tending to the smoker. Around town – Seamus McDaniel's, 58hundred (get the pork chop), Sugarfire, Del Pietro's, or Mai Lee. Nope, but my daughter Laruen once told a friend that we had a puppy and that it was tragically hit by a car – the friend’s parents sent condolence cookies with a touching note. Embarrassing at the time, but kind of funny now. How about a bike ride? In Forest Park, to the Arch, to the Chain of Rocks Bridge, to Jefferson Barracks – you name it, let’s do it.